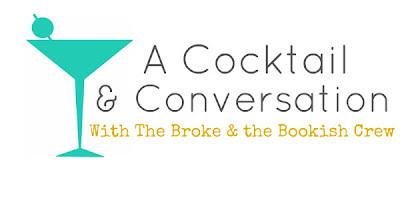 The Broke and the Bookish : A Cocktail & Conversation With TB&TB - All About TV Today! 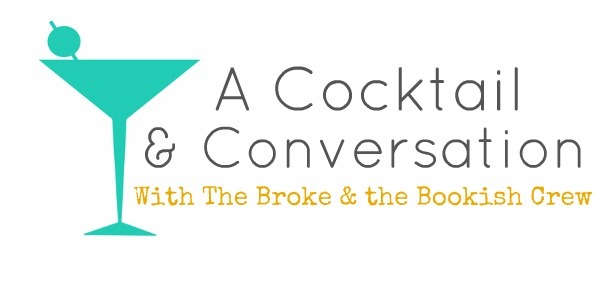 A Cocktail & Conversation With TB&TB - All About TV Today! This week: What are 2 or 3 television shows you are really excited about right now? Julia says: I will start off with my favorite show, The Big Bang Theory. I could sit and watch marathons of that show like it is no ones business. This show has cost me many hours of reading most likely over the years, and I don't mind. The writing is smart and funny and the characters are amazing! The other show I am really excited about is The Game of Thrones. I have not since a single episode yet on purpose. I really want to get through the series first so the TV series doesn't cloud my perception of this awesome saga. That said, you cannot finish any book in The Song and Ice and Fire series in a day. I tried, and could only get through 500 pages or so. It's so intense! But anyway, the reason I am so pumped is I hear such good things about the show and I can't wait to see how they are going to translate some of these things on screen! Jana says: I'm going to agree with Julia here that The Big Bang Theory is my favorite show in the world! I love it! I have never laughed more at a TV show. The characters are amazing. Another one would have to be Bones. The two main characters, Booth and Brennan, have the best on-screen chemistry I've seen in a while. I also really find all the history and medicine fascinating. I always thought going into anthropology would be wonderful. And then there's Person of Interest. Jim Caviezel is smouldering, and I love watching him save/protect people. He's the perfect male lead. What about you guys? What tv shows are you most excited about these days? I know I (Jamie) need more (read: probably don't actually) shows to watch! Apparently I need to get on the Big Bang bandwagon. Shows I'm loving: Parenthood (I instantly knew I need to watch it because of Lorelei Gilmore) and I JUST finished One Tree Hill. OMG. What a good series. I wish I would have gotten into it sooner but Will and I just FLEW through all 9 seasons when we started this winter/early spring. Definitely got a little eye-rolly towards some of the later seasons but I still love the series as a whole. I'm also REALLY loving Grimm & Once Upon a Time. Can't get enough of the fairy tale retellings. Big Bang Theory is definitely one of my favorites! I also just finished The Newsroom, which I loved, and True Blood (this season was a little crazy though). I don't watch much TV but, much like Paula, when I do I become obsessed! I'm sad that a lot of my favourites are finished, like House and Chuck -- and this is Gossip Girl's last season, too! I'm loving Hart of Dixie. It's got the bit of medicine I need to feel productive, but it is also heartrendering and hilarious. I'm really excited about Once Upon A Time! I just love how it's a cool twist on fairy tales. Grey's Anatomy is a guilty pleasure, and after that season finale, I NEED to know what happens! Same thing with NCIS. I just love how well-written NCIS is. I agree - The Big Bang Theory is great and I can't wait for that. Other comedies I love and am excited about Community and Happy Endings (which gets my vote for funniest show). As for drama, I'm looking forward to new Dexter, Grimm, Supernatural, and White Collar! Another Big Bang Theory lover over here! I LMAO in every single episode. The script is brilliant and Jim Parsons (Sheldon) is hilarious. I actually own a "rock, papers, scissors, lizard, spock" t-shirt. I'm also a fan of Supernatural (which of course has nothing to do with the fact that Sam & Dean are gorgeous, ahem) and Game of Thrones, and I'm eagerly awaiting both series next seasons. I can't wait for The Walking Dead and Game of Thrones! I am currently watching all the episodes of The Vampire Diaries on Netflix. "Jim Caviezel is smouldering, and I love watching him save/protect people. He's the perfect male lead. " <------ This exactly!!!! I am so in love with this show now! Right now I'm big on Heartland, a Canadian show loosely based on a book series set on a ranch. It's pretty awesome, with a great soundtrack. I'm also a big fan of Modern Family.